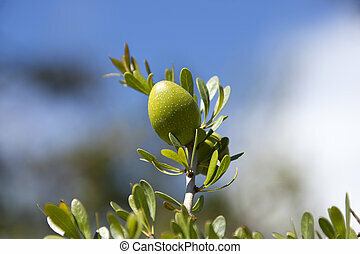 Single argan nut on branch. 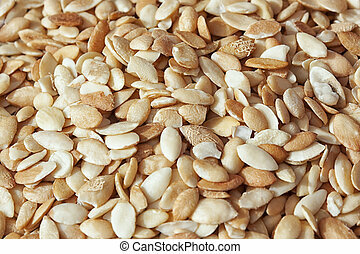 Concept for health, cosmetics. 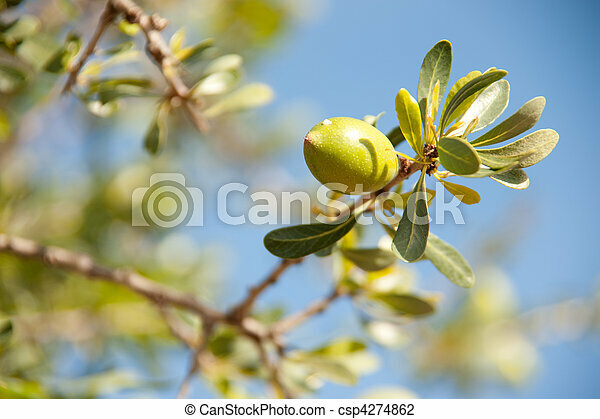 Closeup of an argan nut on branch with blue sky background. 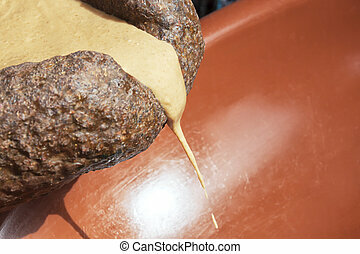 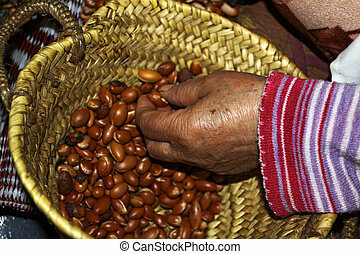 Paste from the Argan nut to make Argan oil. 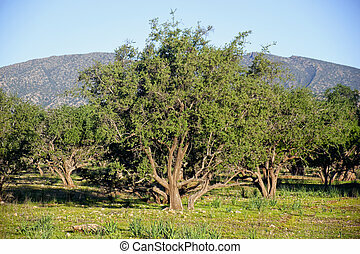 Argan trees with argan nuts in a field. 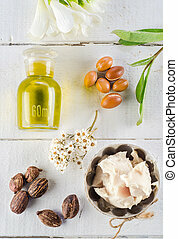 Concept for the healthy argan oil which is used in health and cosmetics. 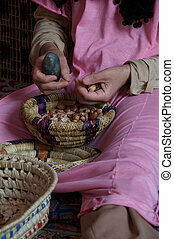 Argan nuts from the Argan tree, that is cultivated for the oil (argan oil) which is found in the fruit. 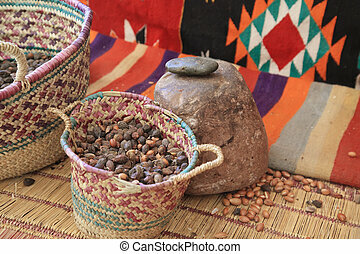 The oil is rich in fatty acids and is used in cooking and cosmetics. 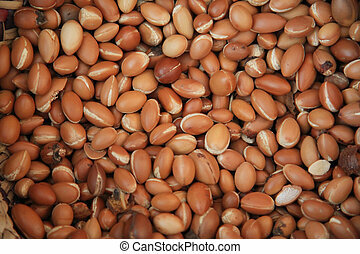 The argan tree is an endangered species and is protected by UNESCO (United Nations Educational, Scientific and Cultural Organisation). 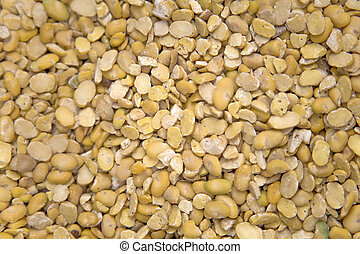 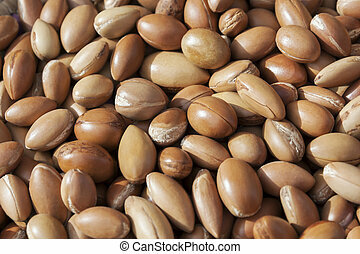 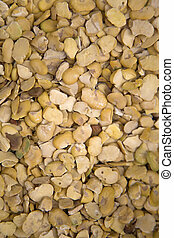 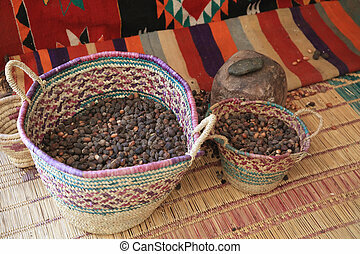 Argan kernels from the Argan tree, that is cultivated for the oil (argan oil) which is found in the fruit. 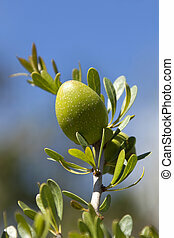 The oil is rich in fatty acids and is used in cooking and cosmetics. 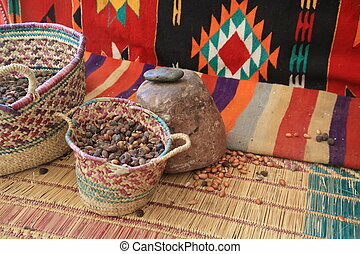 The argan tree is an endangered species and is protected by UNESCO (United Nations Educational, Scientific and Cultural Organisation).